Royal Caribbean is considering legal action against a passenger whose friends filmed him jumping from the 11th floor of the Symphony of the Seas. 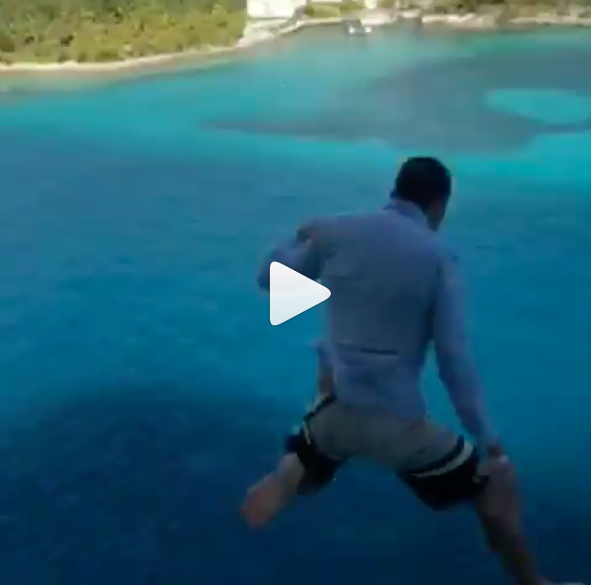 The group was later kicked off the ship and has since been banned from the cruiseline for life for the stunt, which was posted on social media. Nick Naydev, aged 27 and from Vancouver, leapt from his balcony on the Symphony of the Seas while it was in Nassau in the Bahamas. He landed in the sea, more than 100 feet below. In a statement, Royal Caribbean told USA Today: "This was stupid and reckless behaviour and he and his companions have been banned from ever sailing with us again. We are exploring legal action." The cruiseline declined to say what form the legal action could take or how many passengers were involved.